So we just had another major breakdown in our train system last night, the third major one recorded in 7 days. This time, it was a power fault that stopped two lines. 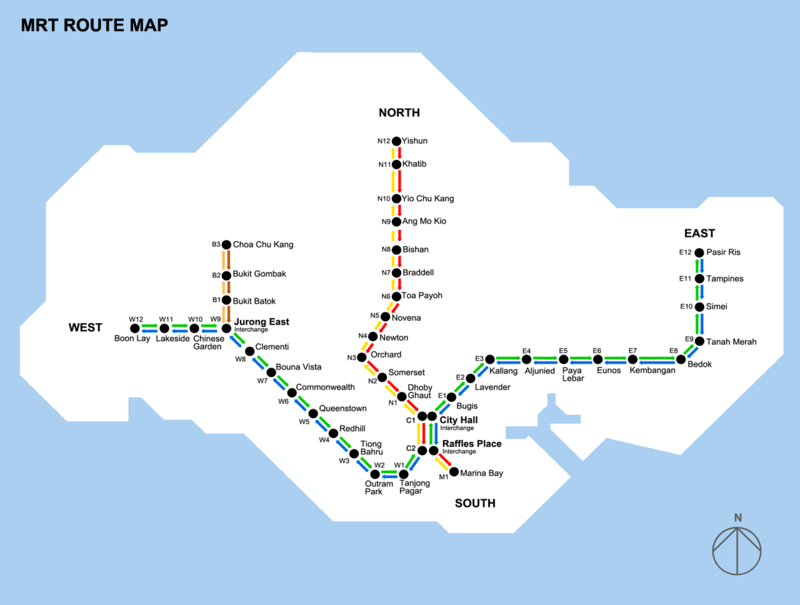 To give some context, Singapore has 4 working MRT lines (NSL, EWL, CCL & NEL), so that’s 50% of our rail system down in the evening when everyone’s trying to go home. 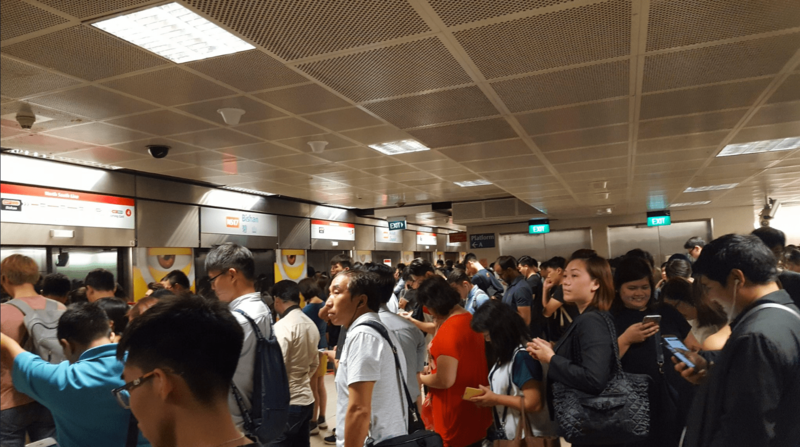 The previous 7 or so times, breakdowns and delays were due to signalling system issues. 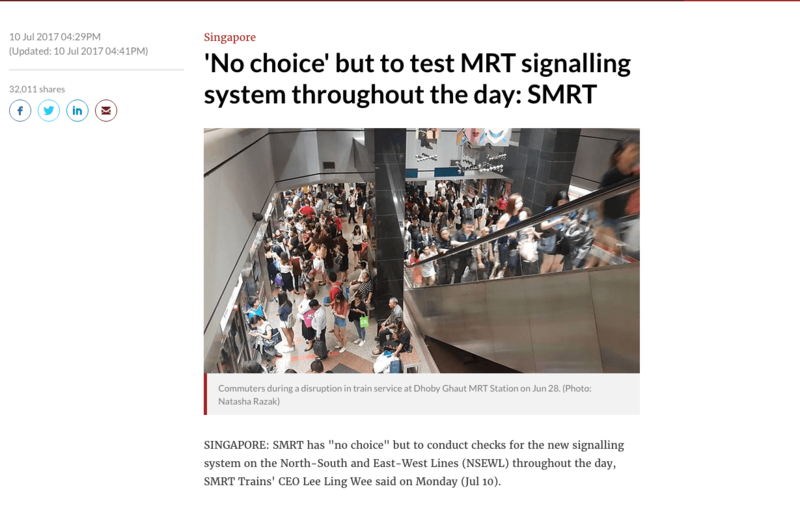 SMRT’s new CEO, Lee Ling Wee, has mentioned earlier this week in his blog post that there “was no choice” in the matter of testing the track signalling system through the day, mainly because 1.30am to 4.30am simply wasn’t enough time to test the system. The alternative, of course, was to test the signalling system during peak periods, causing massive human jams. Yes, that’s right. Singaporeans have no choice but to put up with train breakdowns and delays, while paying full fare for poor service. So better bring that external battery to charge your phone because you’re going to be playing with it A LOT more during your daily commute. 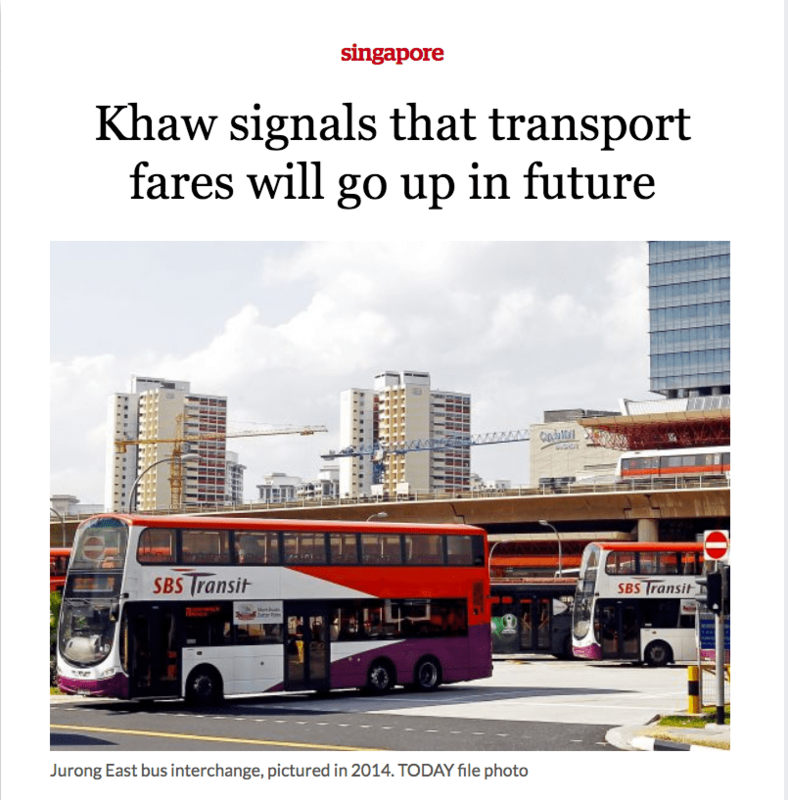 To further compound our woes, the Transport minister has signalled that there would be unavoidable fare increases in the coming years. So yes, we’re going to be paying more full fares, for worse service. There is a sense that our dependable institutions are no longer reliable. If you’re as old (or young) as I am, you’d remember a time when the trains didn’t feel like sardines, and ran on time. HELL, WE EVEN HAD SPACE TO SIT. The air-conditioning on those trains would work 99.99% of the time, and while we didn’t have snazzy screens above the exit doors, we had simple and practical maps to understand our journey. They weren’t fancy, but they worked. Just like the rest of the country worked! By worked, I don’t mean it was perfect. It was (and still is) far from perfect. It was messy, there were plenty of problems and we weren’t very well off. 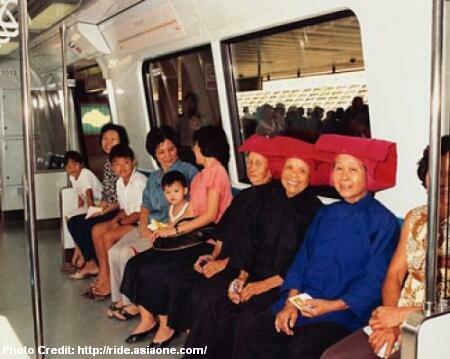 That’s right, our GDP per capita in 1990, when the MRT first started full operations, was a $35K.But guess what? The trains ran on time and the country sought progress. We sought to be better. We could trust our leaders too. They sought to build great things, and seek bigger pastures to grow in. Today, our leaders spend hours in parliament tussling over a house, while we’re facing stagflation and a changing world order. This lack of trust is best symbolised by this heavily shared Twitter meme, commonly used during train breakdowns. Look, we can’t even believe what the Train company says anymore. He was almost never satisfied, and people were asked to leave in those cases. Things don’t necessarily have to work well anymore. If they don’t we don’t need to know why. We’re satisfied, and people don’t get asked to leave when things go horribly awry. 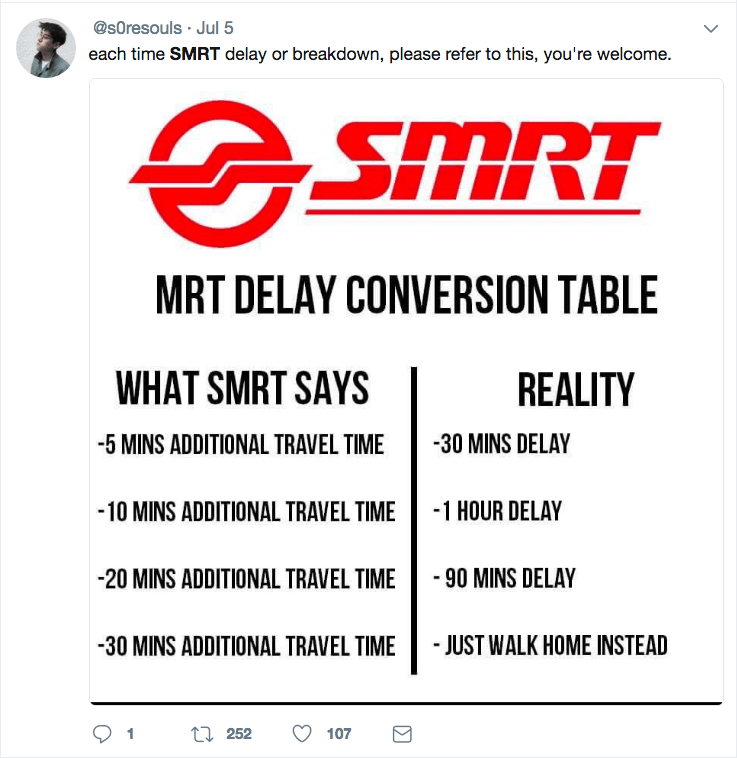 This, in a nutshell, is how SMRT fell apart.